Students are using it. Employees are using it. Investors are using it. Customers are using it. But most business executives are still struggling to find reasons why they should be using social media. 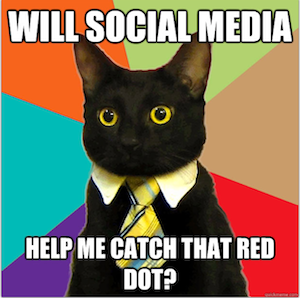 90% of executives would use social media more “if it was helpful to business.” Image by striatic on Flickr. Forbes’ TJ McCue breaks down a collaborative survey by executive search firm DHR International and Modern Survey. The results were both enlightening and disheartening. Around 60 per cent of executives use social media one hour or less per week. Considering most respondents said they use it every day, this in itself is not the problem. 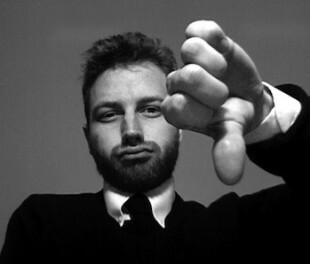 Many executives struggle to see the ROI of social media. When 90 per cent of executives seem to believe that social media isn’t helpful to their business, it begs the question as to where they see social media fitting into business at all. In the survey we discover that, among executives, LinkedIn remains the top used social network. As business execs use LinkedIn for recruiting and networking, the actual benefits become clear when that new employee walks through the front door. Things aren’t so straightforward with other tools. Only 27 per cent of executives said they often use Twitter. Even more telling is that only approximately 30 per cent of those executives see Google+, which has over 500 million users, as a major social media brand. With many executives still seeing social media as a marketing and recruitment tool, their reluctance to personally adopt these tools seems dependant on proof that its impact extends beyond those functions. Many of the C-Suite clearly recognize that their enterprises are in fact benefitting from social media in some way. The next step is to present them with data supporting the potential benefits of them joining that conversation. As the most common question facing those who push social media within business is “where is the ROI?”, we need to be able to answer that question on an executive level. Thankfully, we can. In part 2 of this blog, “Starting from the top: why the C-Suite should lead social,” we’ll look at high-level executives who have become social media leaders for their brands. We’ll also break down how it has benefitted many aspects of their business, including their bottom line. Want to talk about enterprise-level strategy of social media with an expert? Visit our HootSuite Enterprise site and request a demo.